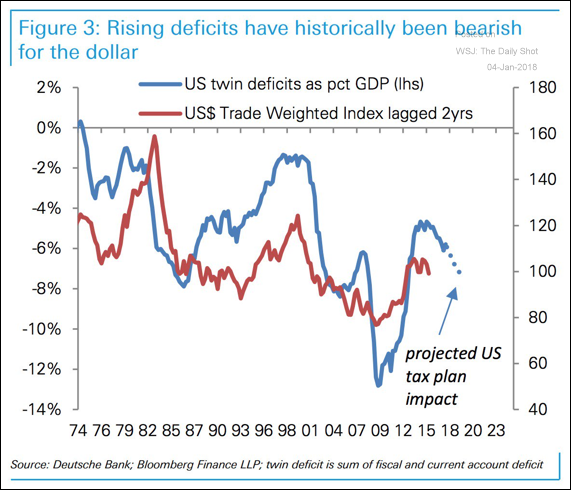 The United States: Will the rising twin deficits (federal and trade) put downward pressure on the dollar? 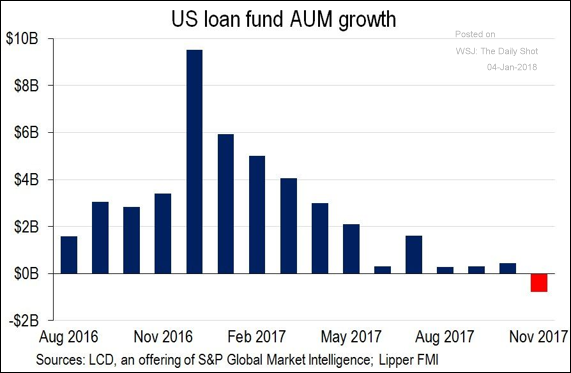 Credit: Leveraged loan funds’ AUM saw its first decline in months. 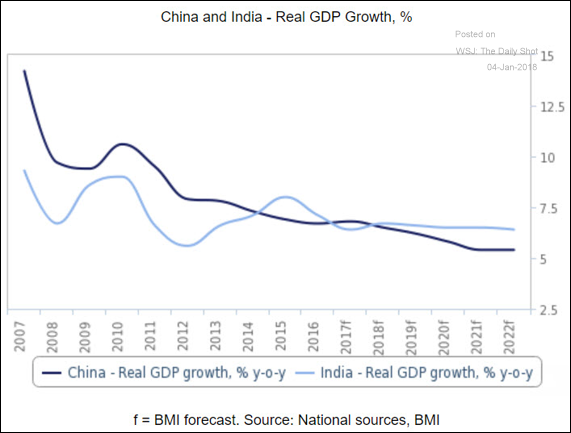 China: Below is a forecast comparing China and India. 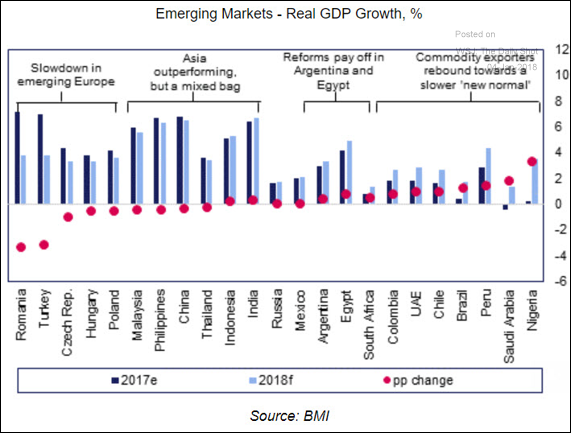 Emerging Markets: Here is this year’s growth forecast across EM economies. 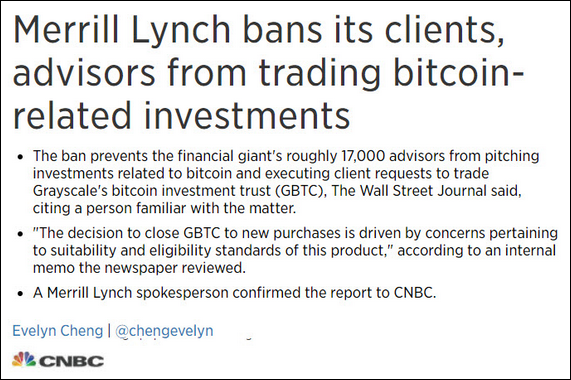 Bitcoin: Merrill Lynch says no to Bitcoin in wealth management portfolios. 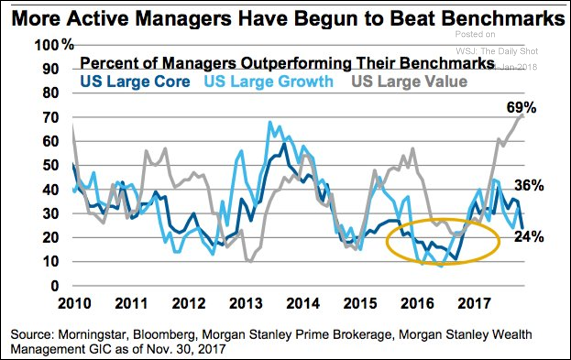 Equity Markets: Stock correlations are still declining, which is starting to help some active managers. 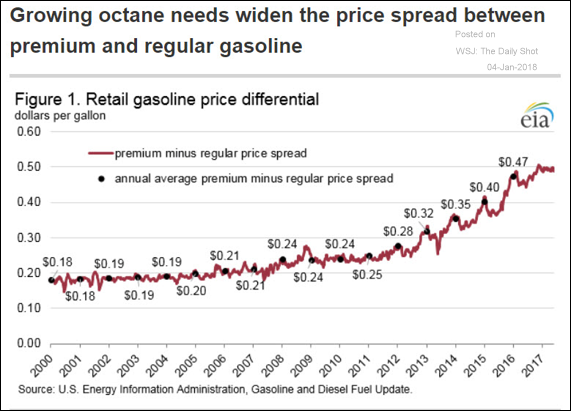 Energy Markets: The retail premium on premium gasoline (high octane) has been rising in response to higher demand. 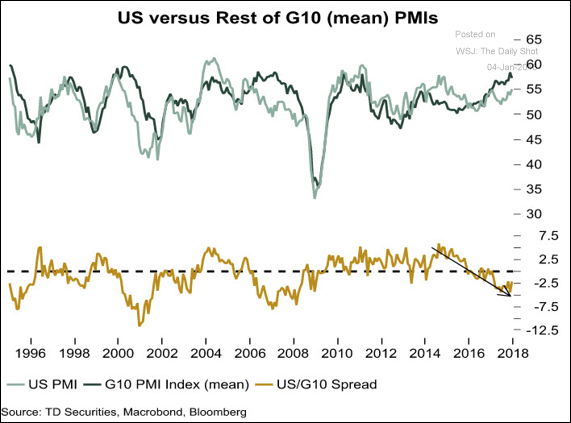 Global Developments: Economic activity in the rest of the world is now outpacing the US. 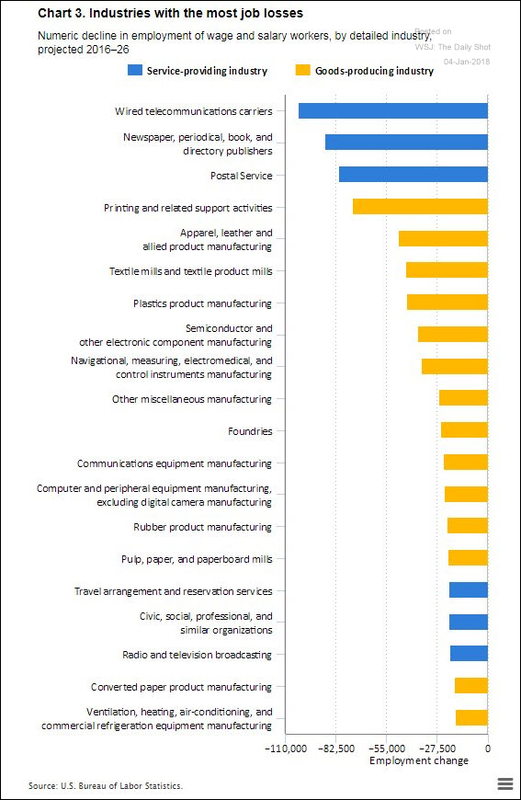 Food for Thought: Industries expected to shed the most jobs.